The CRE 8900 is a brand new radio currently being marketed and sold in Europe by Univercom (France). The radio chassis is new, and while some of the features and the layout of the board are reminiscent of the Anytone AT-5555/CRT6900/Alpha Max AM-1000, this radio is definitely a whole new animal. We’ll try to cover as much as we can in the written review but we’ve also made a couple of videos to accompany this review to show all of the cool features and functions in use. First things first, let’s show you the box the radio comes in. Three things are called out on the front: 1) The radio comes with a three-year warranty. 2) The radio is programmable by computer. 3) The radio is DIN size (DIN means it will fit in a standard stereo slot in your dash). The CRE 8900 is software-programmable and we’ve done a full video to show how this works (see bottom of this review). 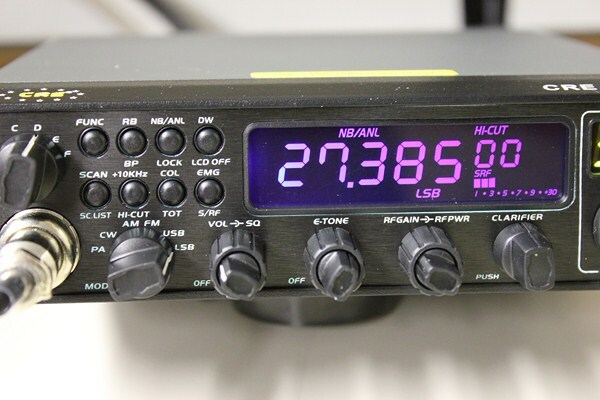 The software disc and connection cable are sold separately and they aren’t required for the radio to operate, but there are some really cool custom programming and adjustments you can do using the software. If you’re going to buy this radio then make sure to spend the extra few bucks on the software/cable so you can really take full advantage of the radio’s capabilities. Now it’s time to really dive into what makes this radio so different in the current export market. The DIN size. This radio is one of the smallest SSB dual final export radios you’ve even seen. At 6.5″ wide x 9.25″ long x 2″ high, this radio is tiny. My RCI-2950DX seems absurdly large when placed next to the CRE 8900 and for those of you who have been searching for a small SSB radio for newer cars you might just have hit the jackpot. The radio comes with its own mounting bracket, however, it doesn’t come with a DIN mounting bracket for in-dash installation (Univercom is currently working on optional DIN mounting bracket). Even though the radio is small it has a large heatsink (larger than the RCI-2950DX) to dissipate any heat from the final transistors. Some people might worry that the small size of the radio might make the controls difficult to use, but in our testing and daily use for a month I didn’t find that to be the case at all. Pictured above is an actual in-dash install in a Honda Element. The Honda Element has an open single DIN space below the stock stereo and the radio easily fit into the slot. The radio is actually narrower than the stock stereo faceplate so there are some small gaps on either side, but all in all the install looks modern and fits well with the style of the vehicle. The radio actually was able to attach to the existing radio for the bracket using the thumbscrew locations. The radio is very solidly mounted and this might actually help reduce the likelihood of theft compared to a radio mounted from an exposed bracket someplace in the vehicle. 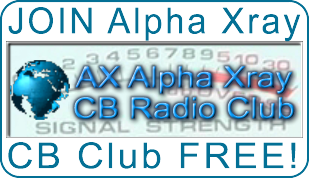 This entry was posted in ALL Articles, EXPORT RADIOS by Greg 43AX005. Bookmark the permalink.